I think I know the answer to this, but does Stevie even sing on Hold Me? I can't hear any Stevie vocals on "Hold Me"; I always thought it was a Christine/Lindsey duet. While I usually prefer the three-part harmony sound, "Hold Me" actually works quite well with just McVie and Buckingham. Come to think of it, Stevie's vocal contributions to "Mirage" are pretty sparse, as they would be with "Tango In The Night" five years later. She sings on her three songs and adds harmonies to "Love In Store" and that's it. I thought for years that she was singing backup on "Book Of Love", but Lindsey indicated in a long-ago interview that he manipulated his own voice and made it sound like Stevie. Yeah, I can't hear Stevie on it either. Lindsey sure loves those vocal manipulations, don't you think? He started early, too. I think Tusk was the first album he did that with.. perhaps earlier, on Gold Dust Woman - near the end there is some eerie noise and I'm not sure if it's Stevie, a guitar, or Lindsey messing around in the studio. We know she does on tour. As for studio cuts, they're impossibly crafted & combined on FM albums. There's no telling for sure who's on what unless it's plain & clear to the ear. Otherwise it's like trying to identify a specific squiggle in a Jackson Pollock painting. My most FAVORITE song by FM as a band ever. I am sure I hear Stevie in the vocals, but maybe not. I listen to it VERY loudly. I love that song. 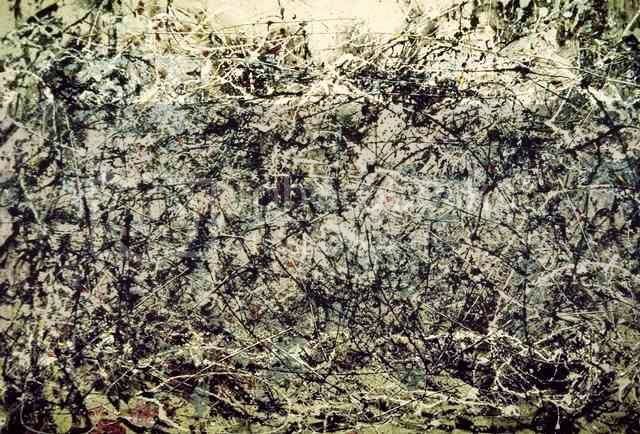 Otherwise it's like trying to identify a specific squiggle in a Jackson Pollock painting. Hahahaha! david, that's the best metaphor in years! on Gold Dust Woman - near the end there is some eerie noise and I'm not sure if it's Stevie, a guitar, or Lindsey messing around in the studio. According to the Rumours Classic Albums doc it's Lindsey messing around with guitar sounds, but I'm not entirely convinced it isn't (partially) Stevie. Judging from the Us Festival video, she doesn't look like she likes to do it on tour. Hey, wasn't there a pre-Mirage print interview in which Stevie said that the band had just finished recording a Chris McVie song & that it was really great? She called it extraordinary or something -- but she didn't identify the title. I always figured it was either "Hold Me" or "Love in Store." But the comment Stevie made implied that she herself had tracked on it. Remember when she said she sometimes had to go drag Lindsey and make him sing back up harmony on some songs, because she refused to have no singing on their songs?